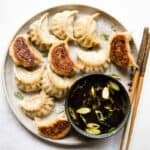 Whenever I lead a dumpling class, I always prepare several sauces to serve with the dumplings we cook. 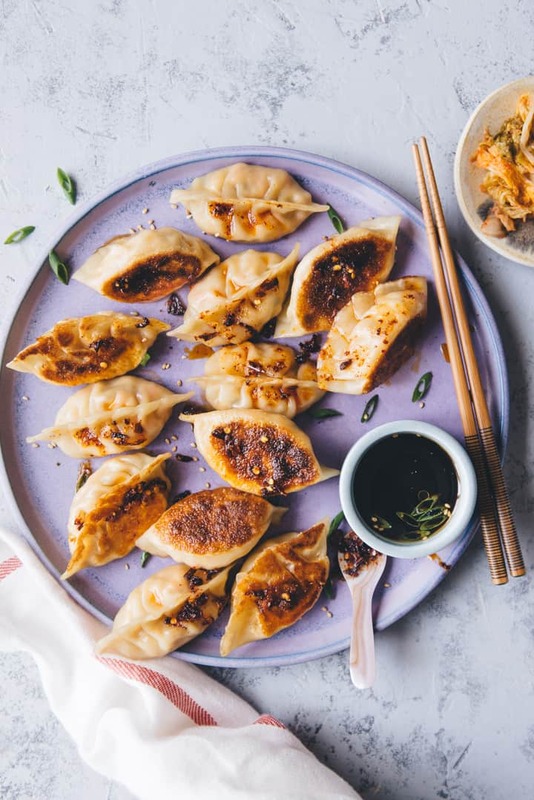 Time and time again, my students tell me that their favorite sauces are my sweet chili sauce and this soy and vinegar dumpling sauce. One of the key ingredients to my soy and vinegar dumpling sauce is Zhenjiang vinegar (or chinkiang vinegar, 鎮江香醋). Originating from China’s Jiangsu region, Zhenjiang vinegar is an aged black vinegar that is made from various grains, often wheat and rice. The flavor profile of the vinegar is tangy, rich, malty, and slightly sweet. You can find it in Chinese supermarkets or on Amazon. If Zhenjiang vinegar is difficult for you to obtain, you can use rice vinegar instead. 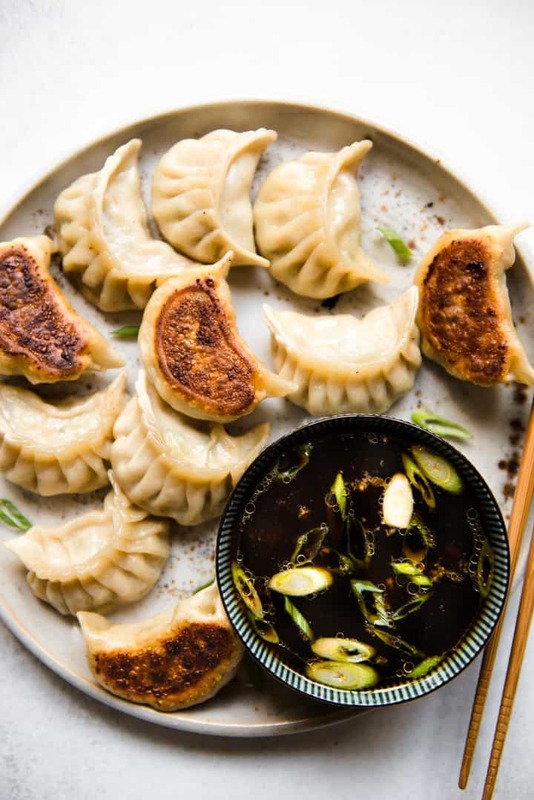 My original recipe uses rice vinegar, and many people enjoyed that version of the dumpling sauce. Do note that rice vinegar is more bright and tangy, so you might not need as much rice vinegar. You can make this sauce up to 4 days ahead. Don’t add the scallions until the day you plan to consume the sauce. I find that the scallions tend to go a little funky when left in the dipping sauce for too long.